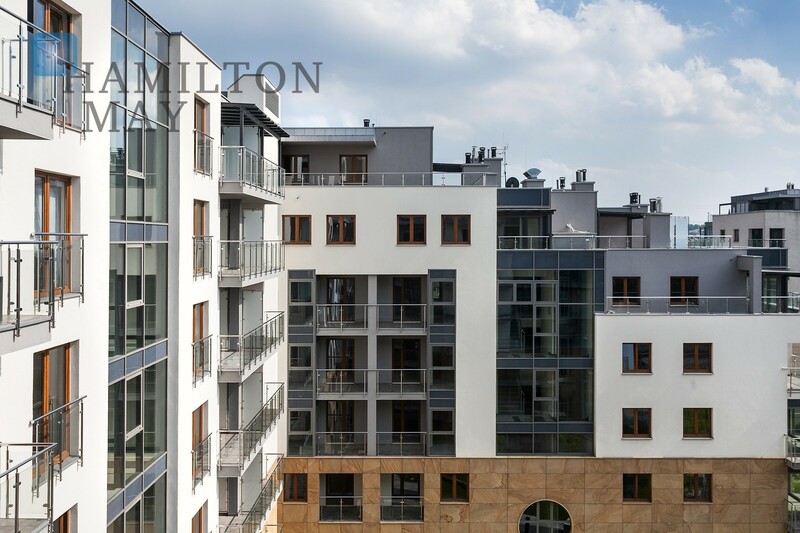 Hamilton May presents a new one bedroom apartment available for sale in an attractive location - Vistula Terraces on Grzegórzecka street. 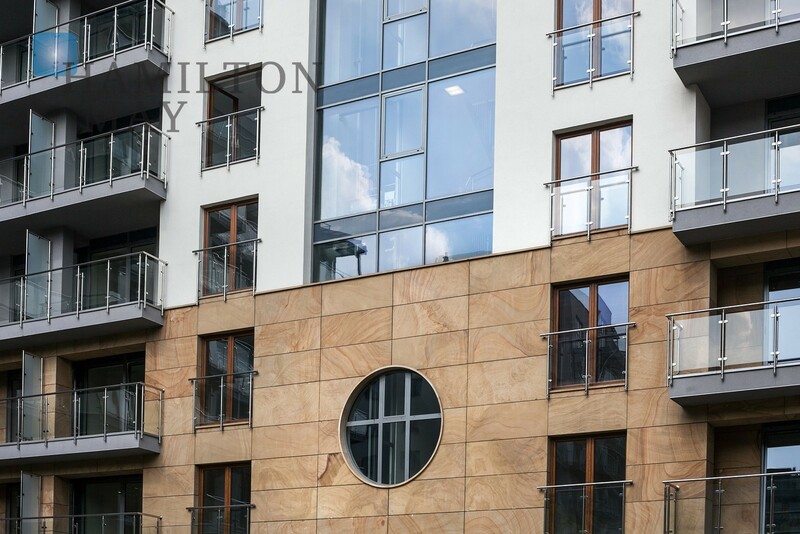 Hamilton May offers two bed apartment measuring 81,4 m2 with stunning views on Wisła river. 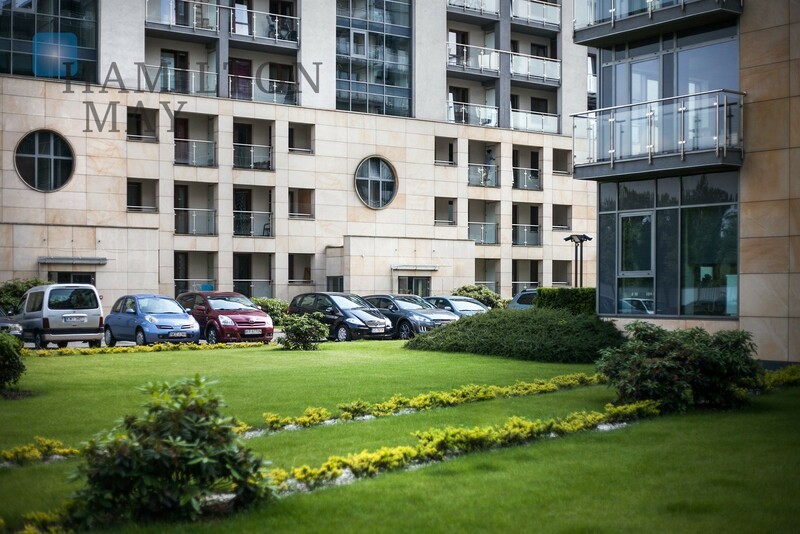 Hamilton May offers a two bedroom apartment of 55m2, finished to a very good standard, fitted with a balcony. The property is available for sale in the luxurious Vistula Terraces development. 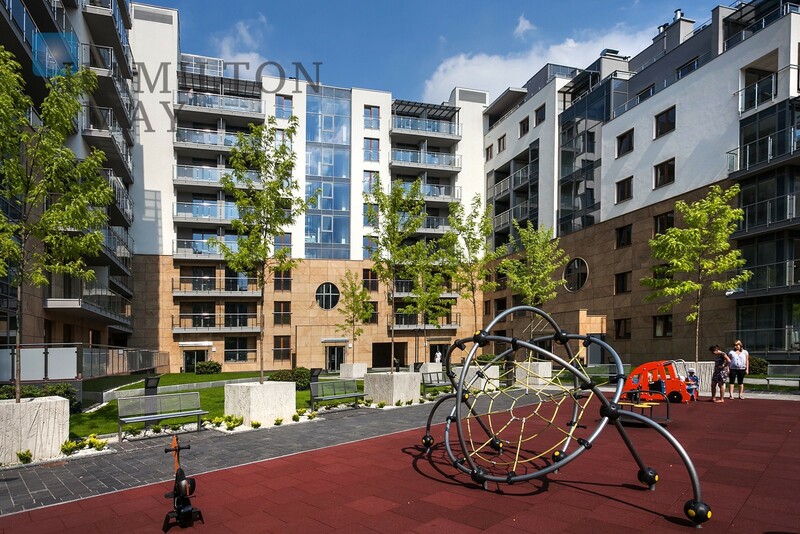 Hamilton May offers a two bedroom apartment of 56m2, finished to a very good standard, fitted with a balcony. The property is available for sale in the luxurious Vistula Terraces development. 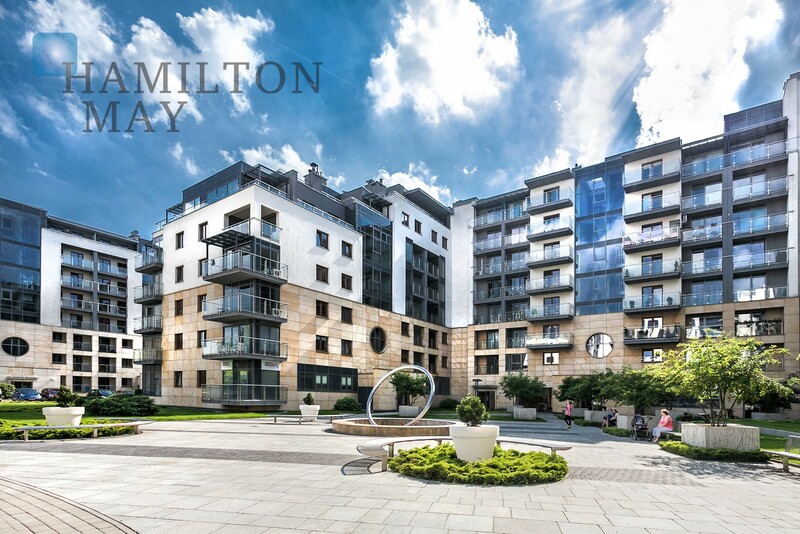 Hamilton May presents for sale a bright, spacious apartment with 2 balconies in the modern and popular investment - Vistula Terraces. 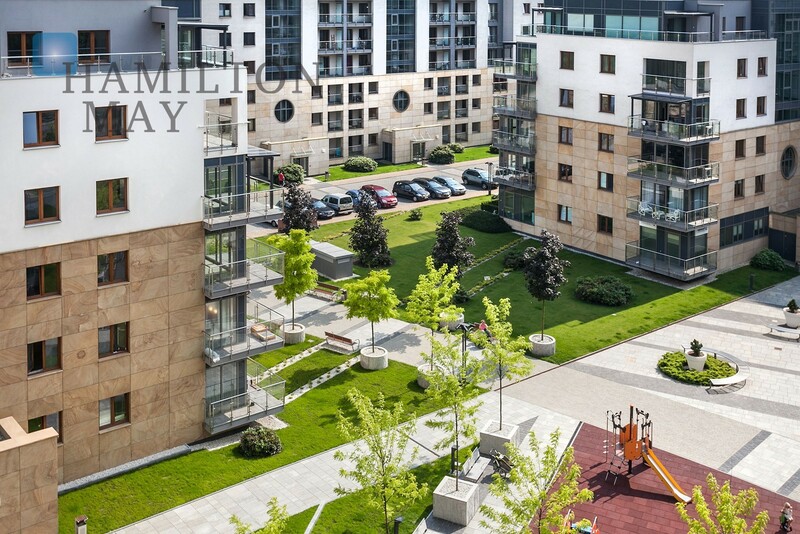 Hamilton May is pleased to present an attractive 41m2 apartment with a separate bedroom located by the Vistula Boulevards, in the Vistula Terraces development in Grzegórzki. Wislane Tarasy is a large new residential development in the centre of Kraków, next to the Wisła (or Vistula) River and adjacent to the Jewish district of Kazimierz, as well as Rondo Grzegorzeckie and the areas of Zabłocie and Stare Podgórze. It is also close to the Galeria Kazimierz shopping centre and cinema complex. A total of six new residential buildings will be constructed on the five hectare site by the developer Interbud. The first two buildings were completed in 2008 and the third building was completed in late 2010. Building number four is now under construction for delivery in late 2012. Building 1, which contains 46 apartments, was completed at the end of October 2008. The larger building 2, which comprises over 200 apartments, was completed by the end of December 2008. Vistula Terraces are being constructed by a large and well-known local developer – Interbud, and are finished to a high standard with lifts, underground parking, 24 hour security and monitoring (a gated community), together with a fitness club and spa centre in building number 1. Hamilton May Real Estate has been involved in off-plan sales of this development. We can assist with all aspects of purchase for apartments in new buildings under construction, together with resale apartments in buildings 1 & 2, and rentals and leases. New apartments are sold by Hamilton May on a 0% commission basis. Hamilton May is a major letting agent for apartments for sale in Wislane Tarasy. This development has proved very popular with tenants, so is excellent for buy to let investors.